Win a 1:1 Scale Ooga Booga Replica From Full Moon! A virtual reality game begins taking over the minds of teenagers. A teenage girl once possessed by a demon finds that it still lurks within her. Meanwhile, a priest investigates the death of the girl's exorcist. A young man arrives at his father's mansion in Louisiana to discover that a secretive cult is using winged creatures to raise the dead to do their bidding. A college student becomes lab assistant to a scientist who is working on a serum that can transform humans into snakes. With the help of her friends, Emily moves to a remote home to take better care of her brother, Zack who is diagnosed with cerebral palsy. But what they don't know is that the house kept a terrifying secret that will haunt them one by one. 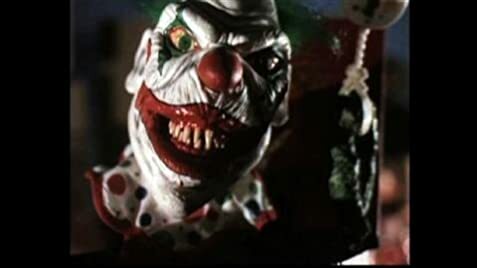 Through out the early 90's, Charles Band's Full Moon Pictures churned out many classics like "Puppet Master", "Trancers", "Doctor Mordrid", "Subspecies", etc. The company has changed names and faces a few times over the last decade or two, but usually put a mentionable quantity of decent films. But I have to say, with DOLL GRAVEYARD and many other recent short bores, Full Moon has fallen dead. 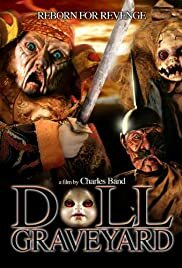 Charles Band recycles his killer doll formula with this and a few other recent crapfests, making 70 min features with characters made to be easily manufactured as toys. The story bores on through horrible acting and even worse story, with less doll carnage than promised. One of the few redeeming qualities of this film is the design of the dolls themselves. The Samurai and stoned looking tribesman were cool characters. Overall, I caution Full Moon fans to turn away from Charles bands newest abominations, and save themselves.